The choice of college is among the most important investment decisions individuals and families make, yet people know little about how institutions of higher learning compare along important dimensions of quality. As a provider of higher education in your community, I want you to be assured we are not just a community college, but PUEBLO COMMUNITY COLLEGE! The value of an educated, highly-skilled workforce and its impact on a community is not to be taken lightly. We also know that if students find value in their educational experience, they will persist and graduate and become valuable and contributing members of society. We take our responsibility in student success seriously and are driven by the PCC Promise – to always recognize and greet you with a smile, to listen to you, to respond to your needs, to respect and value you, and to celebrate your accomplishments and successes! 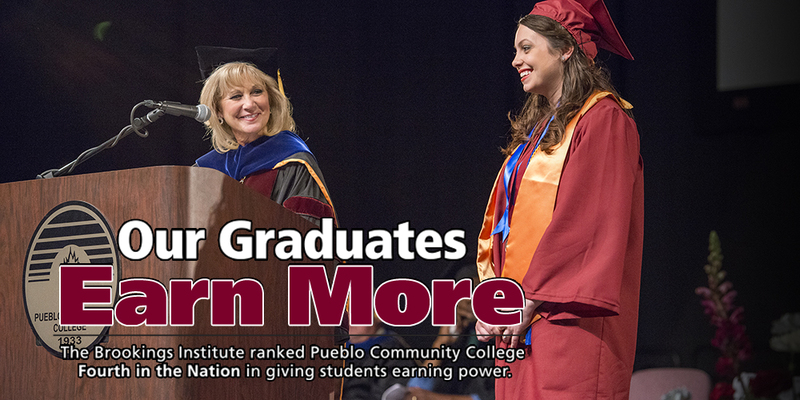 Pueblo Community College offers a broad array of certificate and associate degree programs. These programs range from business management to health professions to engineering to early childhood education to fire science and criminal justice — depending on the availability of program offerings of our various campuses. Whether students are interested in taking a single course for personal enrichment or embarking on an associate degree program and transferring to a 4-year institution, we are confident they will leave our nationally recognized institution highly skilled, highly educated and job-ready. An education through Pueblo Community College is a victory for our students, local employers, and our community. You can expect more and get more at PCC. Visit our website to find out more. Praising the newly created Project ACCESS program, Governor John Hickenlooper called "education the best anti-poverty program there is" during a news conference held May 25 at PCC. Project ACCESS is a partnership between PCC, Catholic Charities of the Diocese of Pueblo and the Pueblo County Department of Social Services to guide and support young adults with poverty-related issues. Afterward, the governor signed HB15-1275 that enables apprenticeships and internships to be included in concurrent enrollment programs at the local level. It was an honor to host the governor and our elected officials at this very special occasion. Celebration Walk — the tradition continues! The tradition continues as the annual Celebration Walk will kick off the fall semester on Monday, August 24, beginning at 11:30 a.m. Faculty and staff led by President Erjavec will applaud students for taking the first steps to success by embarking on a new semester of higher education. 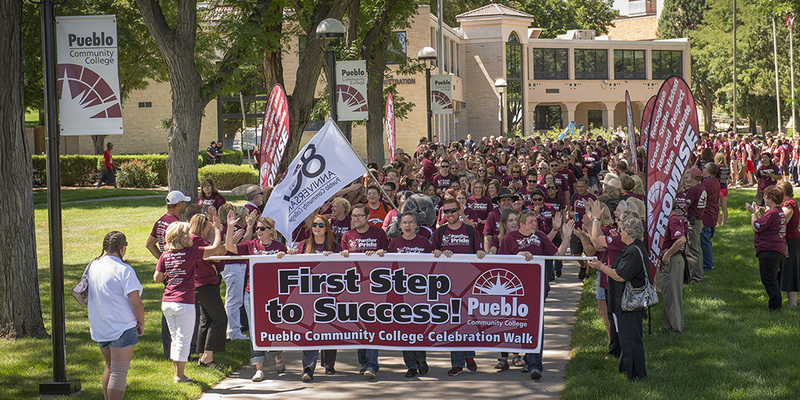 Students and staff receive a free PCC t-shirt and march through campus as the Pueblo Municipal Band plays as part of the event, followed by lunch served in the courtyard. The walk is one of several events designed to inspire and encourage our students on their path to academic success. Learn more about student life and the many academic programs offered here at Pueblo Community College. PCC has added a Barbering certificate program to its Cosmetology department offerings, and the 3-semester program will begin with the upcoming 2015 Fall Semester. This will be an evening program running from 3 to 9 p.m. Mondays through Thursdays. The program will teach students job skills, customer communication, and shop procedures. Besides instruction in many areas, there will be clinical practice that will involve working on the public under supervision. The program will mimic actual shop procedures in order to prepare students for working in the field. Applications are available at the Cosmetology Building, located at the corner of Abriendo and Thatcher in Pueblo. More information, contact Michele Edwards at (719) 549-3162 or michele.edwards@pueblocc.edu. Learn more about Cosmetology, Barbering and many other academic programs offered at Pueblo Community College. PCC held the inaugural Science Technology Engineering and Mathematics (STEM) Boot Camp class this summer to give students a look at some of the most financially rewarding careers today in the science, technology, engineering and math arena. They learned about career options and career pathways to a four-year degree. 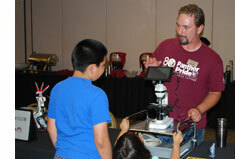 Learn more about the STEM program at PCC! 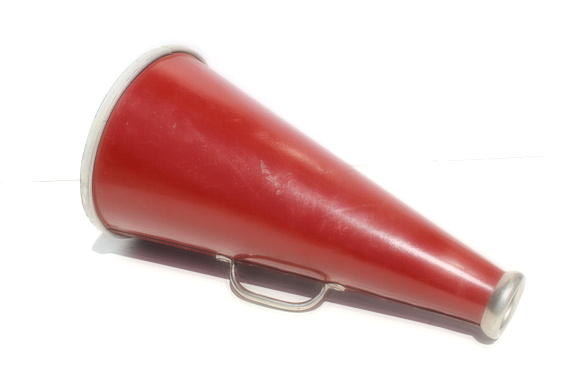 Join us for a big announcement on Monday, July 27, at 10:00 a.m. in the Dr. Mike Davis Academic Building. This monthly email is an opportunity for us to share the great happenings and accomplishments at PCC and how our efforts impact not only the lives of our students but the prosperity of the communities we serve. We hope you enjoy this quick look at our endeavors and share in our success. After all, our success is yours! 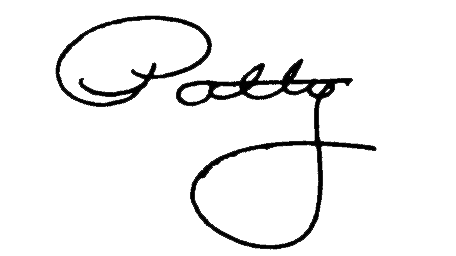 Copyright © 2015 Pueblo Community College, All rights reserved.